While Usamah Bin Laden’s passing will not destroy al-Qaeda altogether, it is a horrible blow to their morale, despite the bravado in al-Qaeda’s message acknowledging Bin Laden’s death at American hands. Some have suggested that the Taliban may sever their ties with al-Qaeda in the wake of the latter’s clear vulnerability and leadership vacuum. There is evidence of a collapse of morale from Afghanistan. 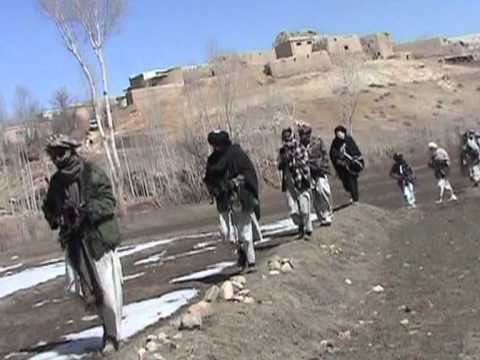 Pajhwok News Agency is reporting that in the wake of the death of Usama bin Laden at the hands of US Navy SEALs, Taliban guerrillas in the northeastern Afghan province of Qunduz are fleeing the province. It appears that the Taliban were still linked to, and perhaps taking direction from, al-Qaeda, more than most analysts had suspected. It also appears that Bin Laden had more of an operational, strategizing role than we had thought. If it is true that radicals are fleeing Qunduz, and indeed other provinces as well, and heading for safe havens in places like North Waziristan in Pakistan’s lawless tribal belt, it is likely primarily because they had direct contact with Usama Bin Laden and now fear that information about them is in American hands, since the SEALS captured his hard drives and thumb drives. The Taliban and a few Arab al-Qaeda started being active in Qunduz about three years ago, in part in an attempt to block supplies for NATO and the US coming through Tajikistan. Qunduz, with a population of about 800,000, is said to be about one third or more Pashtun in ethnicity, despite being in the north where most Afghans speak Persian. Qunduz city was among the Taliban’s last outposts in the north when they were forced to withdraw to Qandahar in late fall, 2001 as a result of the US air support to the Northern Alliance. Talibanism in Afghanistan has virtually no audience outside the Pashtuns or Pashto-speakers, who are Sunni Muslims, though it is also true that a majority of Pashtuns reject the Taliban and support the Kabul government of Hamid Karzai (a Pashtun) instead. The strategic and anti-logistics character of the Taliban campaign in Qunduz raises questions about whether Bin Laden and some lieutenants were not actively directing a war against the US, NATO and Karzai.